Dream Essentials say that eye masks are one of the most effective ways of overcoming sleep problems & obtaining restful sleep. The eye mask works to block out any sources of light & when the brain senses total darkness melatonin (the sleep chemical) is produced. Another tool you can use is a sound machine. I use the Sleep Pillow app. This allows you to select a sound like rain & then place it on a timer so the app shuts itself off after a certain period of time. You can also adjust the volume of the sound machine accordingly but I don't find it to be unnecessarily loud. 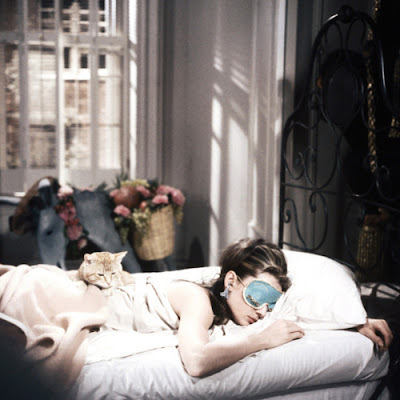 Eye masks have also become a favourite on screen, as seen above on Audrey Hepburn in Breakfast At Tiffany's as well as Blair Waldorf on Gossip Girl. There are so many great designs out there too. 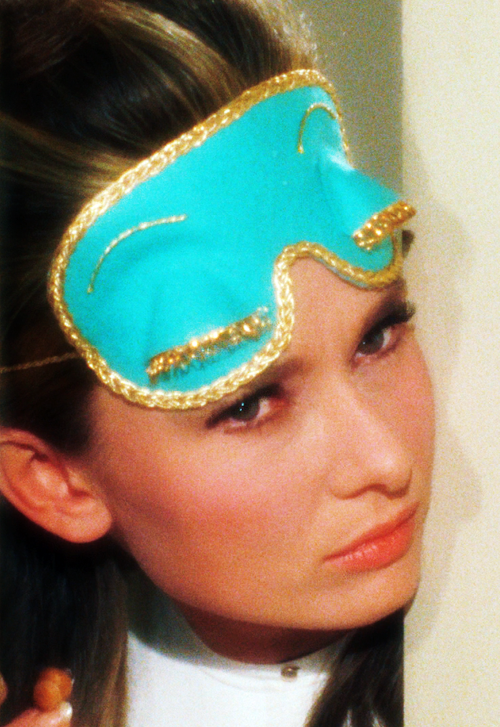 If you're in New Zealand or Australia, Typo sell a range of eye masks in store & if you love the mask Audrey is wearing Fred Flare have this gorgeous Holly GoNightly mask in their store. There are also padded gel eye masks available which I know stores like the Body Shop sell from time to time. -Breakfast at Tiffany's stills via We Heart It. -Eye mask via Google images.